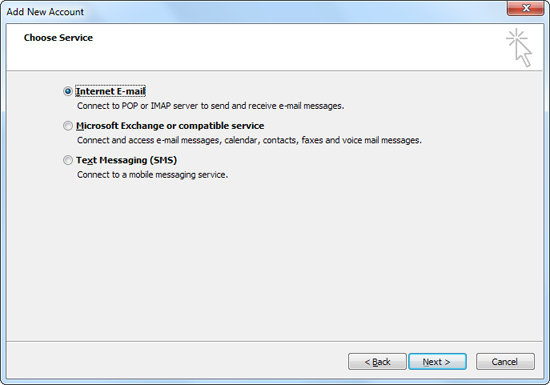 · Open Microsoft Outlook 2010. · NOTE: If this is the first time you have used Outlook 2010, you will be presented with a setup wizard. if so, skip to Step 5. · Click on the File tab at the top left of the screen. · The File screen will open. Click on Info in the left column. · The Account Settings window will appear. 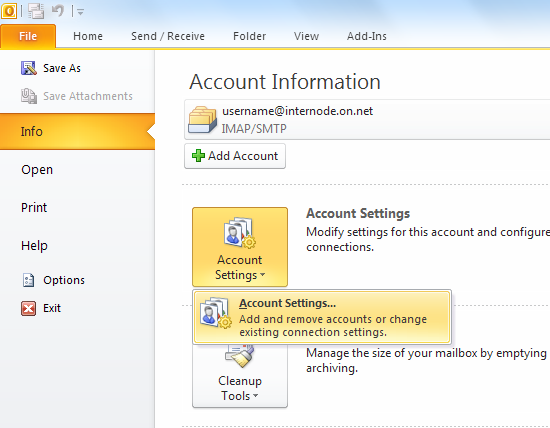 Click the New… button to start the Add New Account wizard. · With “E-mail Account” Radio button selected - Click Next to continue the wizard. 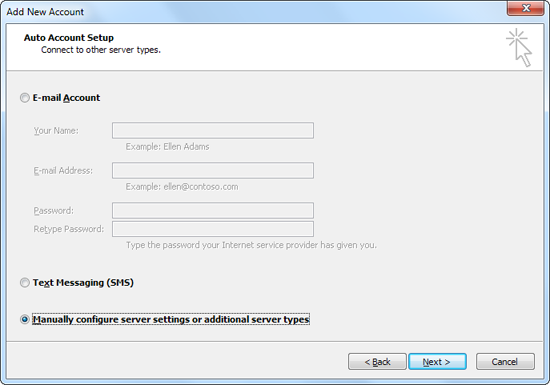 · Select Manually configure server settings or additional server types radio button from the list. · Click Next to continue the wizard. · Select Internet E-mail from the list, and click Next. · In the Your Name field, type your given name or business name - this is how your name appears when people receive email from you. · For the Account Type, Select POP3. · In the User Name field, type your Webshield username including “@webshield.net.au” at the end of your username. · In the Password field, type in the corresponding password for your username. · Click the More Settings… button. The Internet E-mail Settings window will open. · Click the Outgoing Server tab at the top of the window. 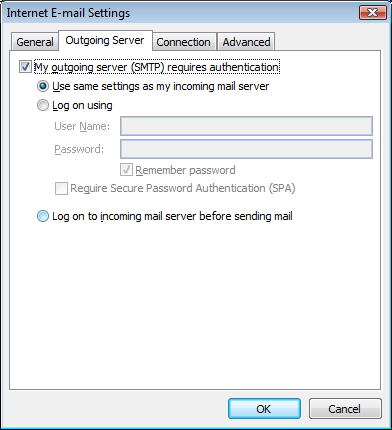 · Click the checkbox next to My outgoing server (SMTP) requires authentication. 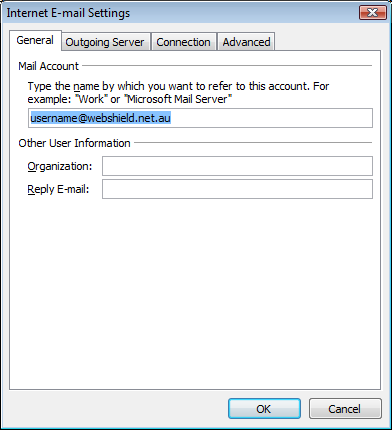 · Ensure Use same settings as my incoming mail server is selected. · Click the Advanced tab at the top of the screen. · Underneath Incoming server (POP3) check the tick box alongside the option This server requires an encrypted connection (SSL). 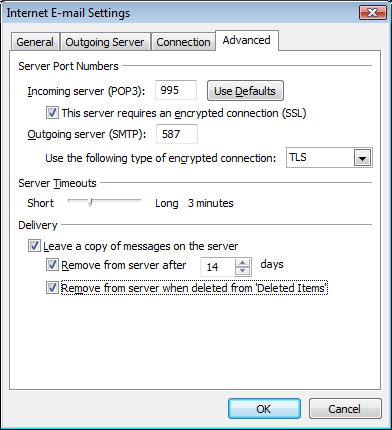 · Underneath Outgoing server (SMTP) set Use the following type of encrypted connection to TSL in the drop down menu. · Next to Outgoing server (SMTP) change the number from 25 to 587. · Next to Incoming server (POP3) check the number is 995. · Click OK to return to the wizard. · Click Next to complete the wizard. 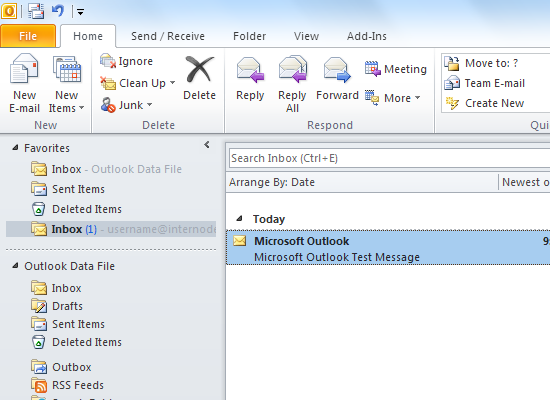 Outlook will begin a test. 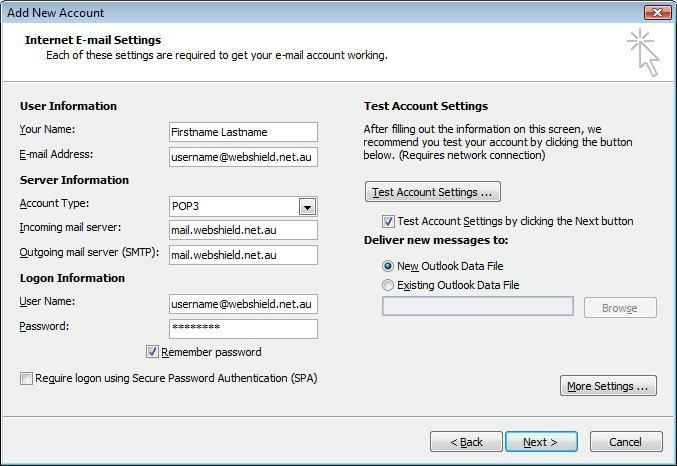 · If all your settings are correct, Outlook will advise you that all the tests completed successfully. Click Close to finish the wizard. 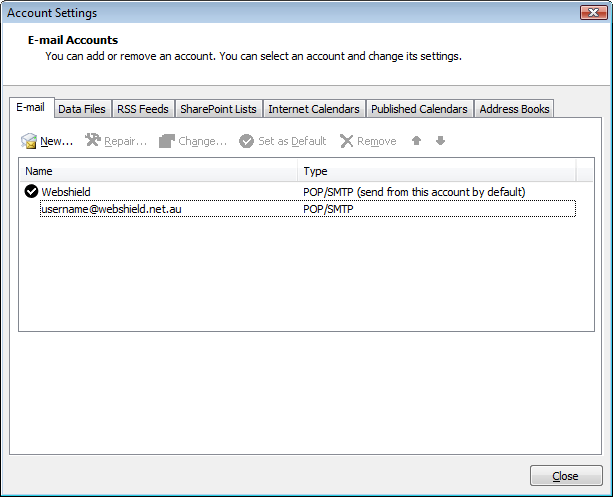 · Click on the Finish button to complete the Add New Account wizard. Congratulations! 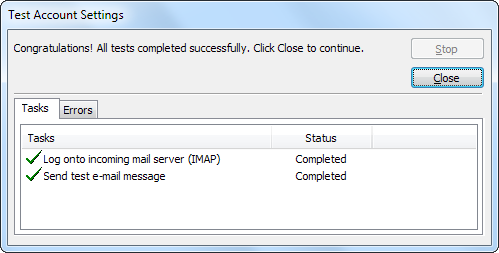 Microsoft Outlook 2010 is now configured for use.